Our Young Journalists have unveiled the latest edition of the school's magazine, The H.
The magazine is once again packed with news articles and features giving an insight into the many success stories, events and trips over the past term, as well as opinion pieces from students. A team of Year 11 students make up a core editorial team responsible for sourcing and writing news stories from around school and putting them together into a professional standard newspaper. 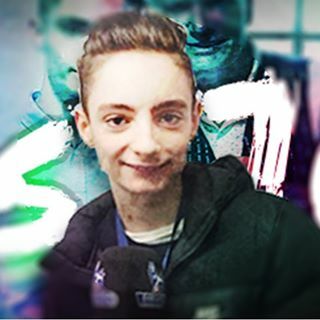 As the students are now preparing for their GCSEs, they will now be handing over the reins to a new team of budding reporters. Posted on April 11, 2019 by Vicky Nash. Charity fever swept through Highfields for this year's national Comic Relief campaign - as fundraisers performed their own version of social media dance craze, ‘The Triangle’. 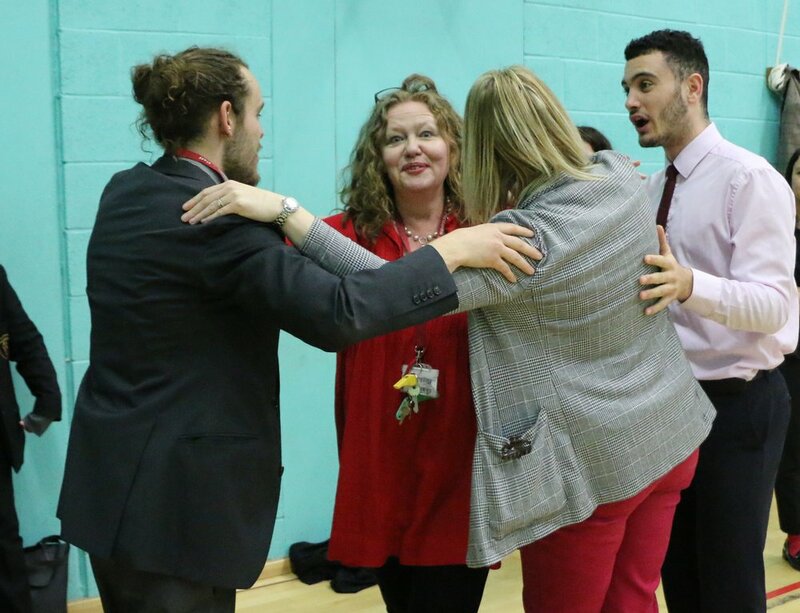 As part of the fundraising festivities, students and staff made a donation to the cause to wear an item of red clothing or official Comic Relief merchandise for the day. Students also baked and sold cakes to raise funds, whilst the Sports Hall was transformed into a dance studio at lunchtime for the ‘Triangle’ dance challenge - the latest dance craze which involves three people holding on to each other’s shoulders and jumping in between each other in a co-ordinated pattern. Funds raised from the day are still being counted. Miss J Parker, Head of Lower School, said: “Highfields is proud of the support that students, parents and staff give to both national and local charities, raising thousands of pounds each year. Comic Relief aims to bring about positive and lasting change in the lives of poor and disadvantaged people across the world, whilst tackling the root causes of poverty and injustice. The charity hosts a Red Nose Day extravaganza every two years on the BBC, supported by celebrities and politicians, to help raise millions of pounds for the cause. Posted on March 15, 2019 by Vicky Nash. The world of make believe was brought to life when students and staff dressed as their favourite literary characters to celebrate World Book Day. Harry Potter, Matilda, Cruella De Vil, Oliver Twist and Little Red Riding Hood were among the characters who turned up to school as part of the festivities, alongside the entire cast of Winnie The Pooh, and characters from Alice in Wonderland. The annual World Book Day is a celebration of books, authors, illustrators and reading, which aims to ignite imaginations and help students gain a lifelong passion for reading. Each student and member of staff who dressed up made a 50p donation to the Book Bus charity, which aims to improve child literacy rates in Africa, Asia and South America by providing children with books and the inspiration to read them. Mrs K Allen, Lead Practitioner, said: “Staff and Lower School students were invited to dress up as characters from their favourite books as part of the celebrations to mark World Book Day. As part of the celebrations, students put their creative writing skills to the test as part of a short story competition. Students were given the challenge of creating their own short stories, reimagining a famous children’s book character as an adult, for the chance of winning a prize. Special assemblies were also held throughout the week to showcase the school’s new reading tool, ‘Bookflix’, which supports students to choose a wider range of challenging and interesting books. Posted on March 8, 2019 by Vicky Nash. 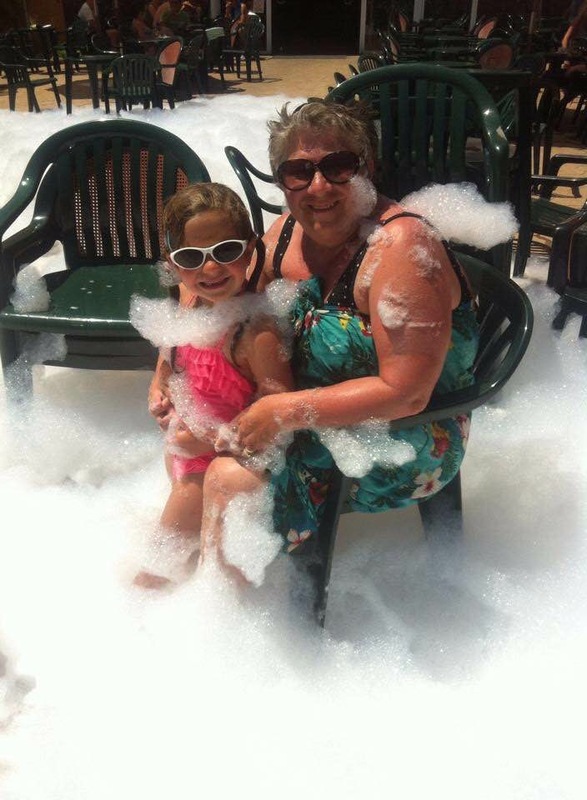 Highfields’ lunchtime supervisor, Donna Lowery, will be taking part in this year’s London Marathon in memory of her beloved late mum - and is now appealing for donations to boost her fundraising efforts to support a worthy charity so close to her heart. During the day, Donna juggles her role at the school with running her own business, motherhood and marriage, before pulling on her trainers to hit the streets for gruelling running training sessions in the evening. And she’s now preparing to put that tough training to the test when she takes on the marathon challenge to support research into Pancreatic Cancer, which claimed the life of her mum, Linda Munday, at the age of 60 in 2014. The 42-year-old, who lives with her family in Penn, will be one of just 70 competitors running the London Marathon on April 28th on behalf of Pancreatic Cancer UK, and must raise at least £2,500 for the cause. It is her second fundraising challenge for the charity, and comes after she raised £1,000 by completing the London to Brighton cycle ride after her mum was diagnosed with the illness. “I have been so lucky to be chosen to be part of London Marathon, it’s an absolute honour that they have picked me,” she said. “Pancreatic cancer is a charity so close to my heart as this is what my beautiful mom died of, leaving my whole family heartbroken and devastated at the loss of such a lovely, kind and caring lady. “This event is going to be a huge challenge as I don’t have a running background but I’m determined to complete it with the support of all my family, friends, and my mum watching over me. “She always drummed in to me growing up that I could achieve anything I set out to do, so that thought will be with me on the day. Despite being a fitness enthusiast who has previously competed in swimming galas, Donna - whose two children, Eden and Lily, are students at Highfields - is a relative novice to the world of running. She said: ‘I was a swimmer but had never done any running. “I started running two years ago because I really wanted to complete a triathlon. When I started, I couldn’t run for longer than a few minutes, but I kept going and within a few weeks I’d managed to get up to 5k. I completed my triathlon with Wombourne Black Country Triathletes but I wanted to do something bigger, which is why I applied to London Marathon. After a tough selection process, including submitting a presentation about why the charity was so important to her, Donna was selected to represent the cause in the world-famous 26.2-mile run. She immediately started her preparation for the challenge, with her gruelling training schedule now including three 5k-10k runs each week, with a longer run of up to 16 miles each weekend. She hopes her efforts will help her cross the finish line within five-and-a-half hours. Her daughters are showing their support by joining her for some training runs, whilst her whole family, including husband Wayne and dad Garth, will be cheering her on from sidelines when she takes part in the marathon next month. “They are all very proud of me. The whole family will be travelling down to support me and get me round,” she added. Posted on March 7, 2019 by Vicky Nash. Talented students wowed audiences with performances of Highfields’ latest stage spectacular, Little Shop of Horrors - with attentions already now turning to the next musical production. The school’s Lyceum was transformed with stunning scenery - including a show-stopping mechanical Venus Flytrap - for three sell-out performances of the high octane musical comedy. Students from Years 10-13 spent months rehearsing for the show, which follows the story of a florist shop worker who discovers his Venus Flytrap can talk, and their performances have received rave reviews. Highfields’ Head of Extra Curricular Performance, Ms S Bishop, said: “Our musical productions have gained a fantastic reputation for their quality, and Little Shop of Horrors was one of our best yet. “We had different casts performing each night to showcase the incredible wealth of talent we have here at Highfields, and every student involved was fantastic. Attentions are now turning to the next musical production, which is set to be staged in November. Auditions for the show, which is yet to be confirmed, are likely to take place after the Easter holidays, with rehearsals set to get under way during the summer holidays. The next show will once again feature students from Years 10-13, with a separate musical production featuring students from Years 7-9 scheduled to be staged in February next year. Members of Highfields’ Book Group celebrated their love of literature by taking part in the first ever Wolverhampton Children’s Book Award. 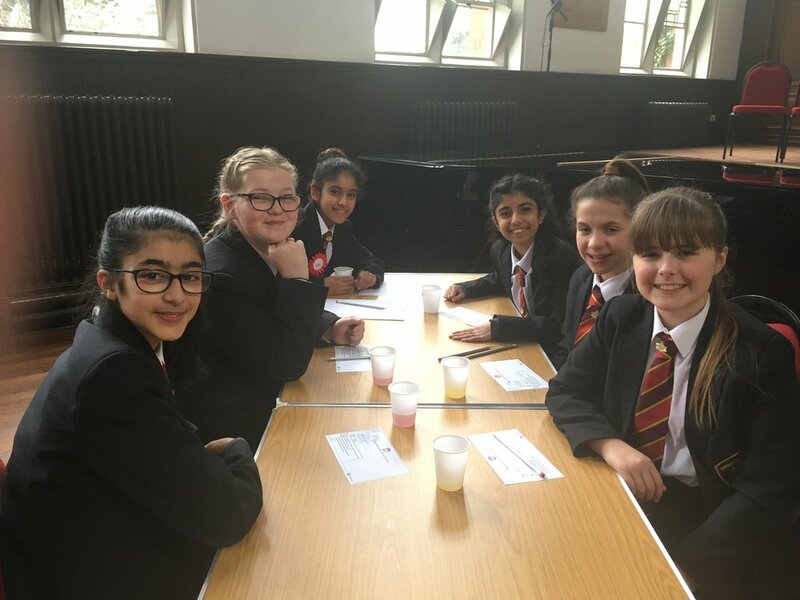 The group, made up of students from Year 7, were given the opportunity to meet a number of award-winning authors and nurture their own creative writing processes as part of the event, which was organised by Wolverhampton Grammar School. Students were first asked to read five titles, before putting their knowledge of the texts to the test against other city schools in a quiz. 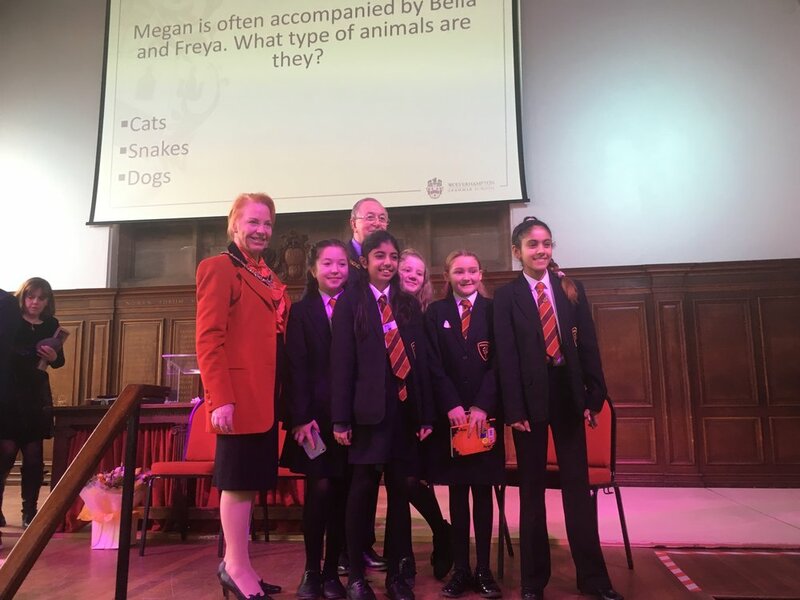 After a respectable third-place finish, students were then invited back to a celebration event at Wolverhampton Grammar School, which was attended by all five book authors. During the day, the young book lovers were given the chance to work with the authors on a number of creative activities linking to the subject matters of their books, including making light jars, creating their own languages and even taking part in science experiments. The authors - including Christopher Edge, Jane Elson and Megan Rix - then gave talks about their working processes and inspirations behind their writing. All students who took part in Wolverhampton Children’s Book Award had voted for their favourite book from the selection of texts they read, with the accolade presented to Jane Elson for her heartwarming book, 'Will You Catch Me?' on the day. Posted on March 5, 2019 by Vicky Nash. Highfields will be urging all students to look forward to the future by hosting a packed programme of activities, workshops and trips to mark National Careers Week. The event runs from March 4th-8th and will allow students from all year groups to get a greater insight into a range of professions and the pathways available to fulfil their career dreams. The school has teamed up with a number of universities, businesses and apprenticeship providers to support the national event. 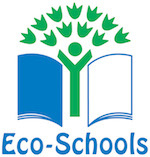 The programme of activities includes workshops in Film Studies, Art & Design and Animation at Gloucester University, a site visit to Jessup Brothers Construction, and a trip to Aston University Medical School for a ‘Pathways to Healthcare’ event. Careers-based lessons and assemblies will be taking place throughout the week, whilst there will also be talks about apprenticeships, interview skills and CV writing workshops. The week-long event comes after Highfields hosted its biggest ever Careers Fair, which featured dozens of exhibitors and was attended by hundreds of students and their families. Click here to read our Careers Course Choice supplement. Posted on February 28, 2019 by Vicky Nash.